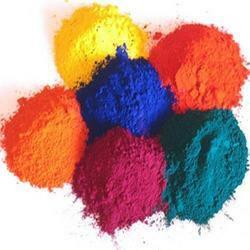 Prominent & Leading Exporter from Mumbai, we offer soluble vat dyes, solvent dyes, textile dyes, pigment dyes and disperse dyes. Being a quality-driven organization; we are engaged in trading and supplying a high-quality range of Soluble Vat Dyes. To assure zero impurity, all the offered dyes undergo stringent quality tests performed by expert quality controllers on different parameters. Further, we keep a stock of these dyes for meeting the urgent needs and demands of our esteemed patron. 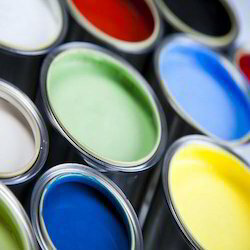 We offer a comprehensive range of Solvent Dyes, which is organically soluble. These dyes are utilized in colouring organic solvents like hydrocarbon lubricants, plastics, fuels, waxes, and other hydrocarbon-based non-polar material. Also used as fuel dyes, the molecules of this product range from non-polar or little polar, and does not undergo ionization. Highly insoluble in water, these dyes form a colloidal solution in solvents. Fastness of these dyes depends on the material used on. For example poor fastness for basic dyes and good for metal complex based agents. These dyes are utilized for gold imitation and other transparent metallic effects for metalized polyester films. Moreover, these are also used in inkjet inks, marking inks and glass colouration. 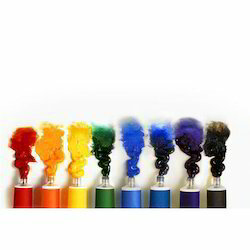 Plastic / Masterbatch / Paint / Ink / Petroleum / Smoke / Oil Soluble / Wax- Solvent Dye. We are one of the leading organizations, engaged in trading and supplying a high-quality range of Textile Dyes. Processed under the strict supervision of expert professionals, all our offered dyes are formulated utilizing quality ingredients and compounds. Also, our offered dyes are stringently tested by expert quality controllers on various parameters to ensure zero impurity. Owing to our years of experience and in-depth industry knowledge, we are able to trade and supply a wide range of Pigment Dyes. 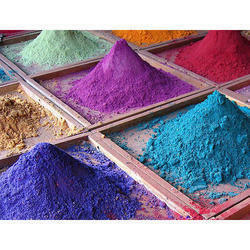 All these offered dyes are widely used to make inks, lacquers, distempers, soaps, wood stains and plastic. In addition to this, we pack all our offered dyes in safe packaging material to ensure safety during transit. Backed by our efficient workforce, we are capable of trading and supplying an exclusive range of Disperse Dyes. Available in a different size of packs, these dyes are widely used in dyeing and printing of polyester. Also, our dyes are delivered to clients within the stipulated time frame at their end with the help of our distribution network.